Ok, the Bride and Frankenstein Melamine Dinnerware I found from the fine folks at World Market is by far the coolest thing I found to make Halloween 2015 the best ever. 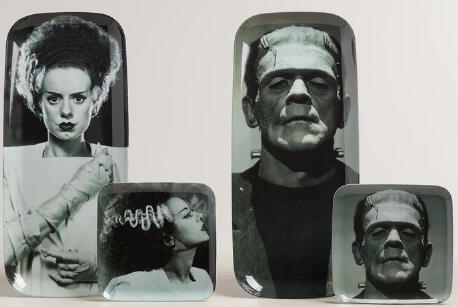 Check out the Bride and Frankenstein Melamine Dinnerware from World Market here. 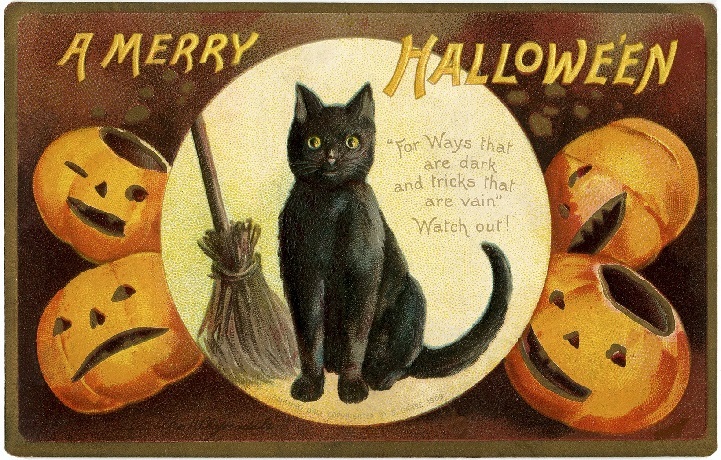 See all of World Market’s Halloween Shop here. See all the coolness that is Cost Plus World Market here. 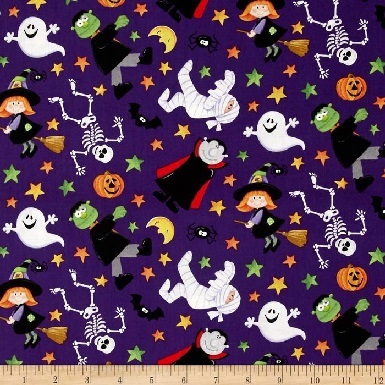 If you are looking for a fabric that screams Halloween to make the perfect smock, apron or goodie bag for the holiday – you can’t go wrong with the Happy Haunting Halloween Characters fabric I found from the fine folks at Fabrics.com. 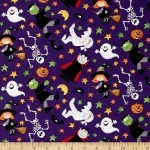 Find all the great fabrics of Fabrics.com here. Bats scare the heck out of me (my hair, my hair!) 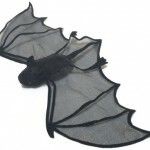 but I love the Bat Finger Puppet I found from the fine folks at the Acme Party Box Company. 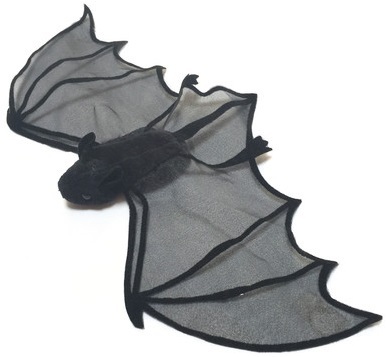 Find the Bat Finger Puppet from the Acme Party Box Company here. See all the cool party solutions from the Acme Party Box Company here. 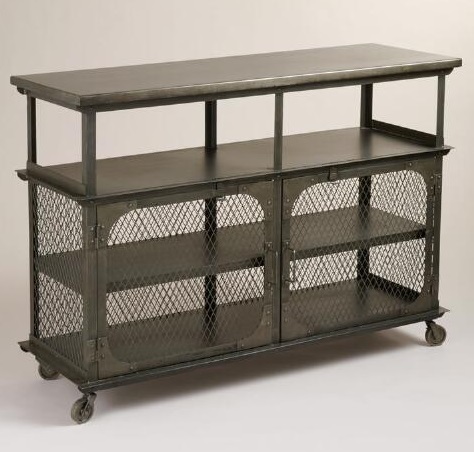 My search for the perfect bar cart has been well documented here in the pages of Lost Cowboy. Now, I think I may be have found the most serious contender yet – the Metal Bexley Bar from the fine folks at Cost Plus World Market. 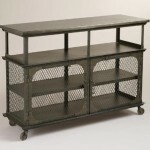 OK, at around $500 this cart is a little pricey, but it may just be the investment piece I am looking for, so I am headed over to my local World Market to check it out. See all the fine products from Cost Plus World Market here. I have posted before about my interest in the Lewis and Clark expedition that was an epic chapter in early days of our republic. But what do we know about Lewis and Clark, the men, before their iconic journey? This is something I really never thought about, other than the basic history of why they were chosen for their task. 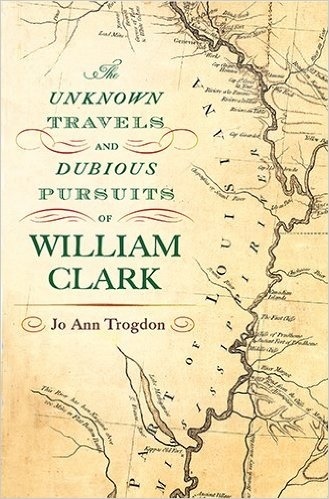 However, when I saw the new book The Unknown Travels and Dubious Pursuits of William Clark by Jo Ann Trogdon, I knew there was more about Mr. Clark than history had recorded to date. In her book, The Unknown Travels and Dubious Pursuits of William Clark, Ms. Trogdon fills in some layers of history and allows us to better understand the motivations and past of one of early America’s most iconic figures. 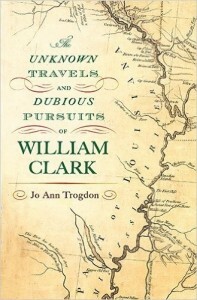 The Unknown Travels and Dubious Pursuits of William Clark by Jo Ann Trogdon is available from Amazon and other fine booksellers. I have posted many times in the past about artist Carol Aust. However, I fell in love with her all over again on my last trip to Wellfleet, MA where her work is shown at the Left Bank Gallery. 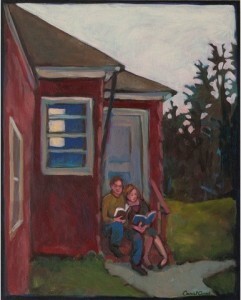 I particularly love her work “Couple Reading” which is currently on display there. The Left Bank Gallery is located at 25 Commercial Street in the charming seaside village of Wellfleet, near the tip of Cape Cod. Learn more about Carol Aust and find a gallery of her work here. It is time form my semi-annual rave about the art from CB2. 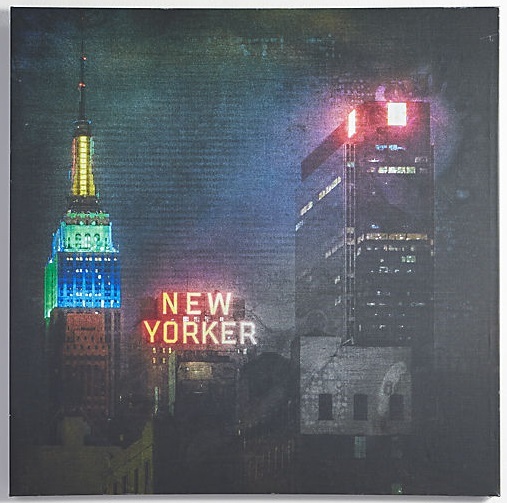 Over the years I have loved many of the limited edition original artworks commissioned by CB2, like today’s find, the great New York City composite work by artist Richard James: Empire and New Yorker. One of the great things about the limited edition series from CB2 is that they really are limited editions. The Richard James Empire and New Yorker Print is limited to only 300. Like many of the other past works offered by CB2, this could be highly desirable in the years to come. Find the Empire and New Yorker Print from CB2 here. Well, autumn is here for sure. If you could not tell by the chill in the air, you could definitely tell by the onslaught of “pumpkin spice” flavored everything. Now most of those seasonal treats don’t have anything to do with pumpkins – just the spices that traditionally go with pumpkin pie and the like. But the pumpkin itself is a hardy treat and deserves to be used more in recipes – like in the recipe for Fall Turkey Chili with Pumpkin I found from the fine folks at Trader Joe’s. Pumpkin? Chili? Yep – Fall Turkey Chili with Pumpkin makes the perfect treat for this weekend before Halloween. 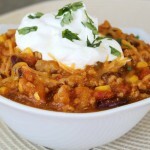 Find the recipe for Fall Turkey Chili with Pumpkin here. Find all the treats Trader Joe’s has up their sleeves here. The threat to the world’s wildlife is one of the things that keeps me awake at night. Thankfully, there are folks like the National Wildlife Federation out there trying to make a difference. 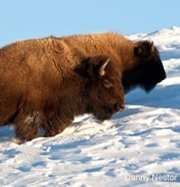 Learn more about the National Wildlife Federation and how you can support them here. …then I can honestly say you have never really had an English muffin. 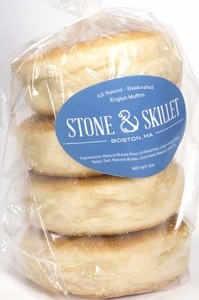 Seriously, the English Muffins of Stone & Skillet are THAT good. 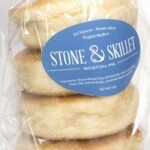 Find the English Muffins of Stone & Skillet here. So did I win a prize for the post with most uses of the words “English muffin”? Learn more about Stone & Skillet here. Meanwhile, the fine folks at Lettered Olive produce some very fine Letterpress Invitations – which is their core business. However, they also make a line of wooded “stir sticks” – like the Wooden Pelican Stir Stick – which I just love. 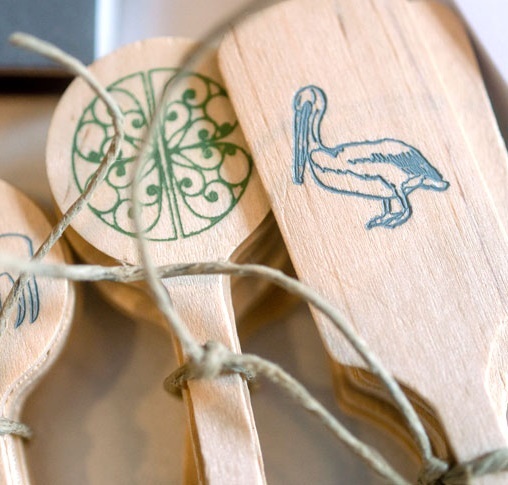 Find the Wooden Pelican Stir Stick from the Lettered Olive here. See the Letterpress Invitations and other fine products from Lettered Olive here. 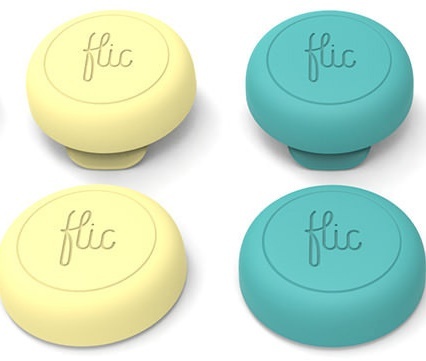 Ok, I don’t know how to describe this find, just that I think it has the potential for being really cool or being a total bust – the “wireless smart button” called Flic. Basically Flic, from the Sweden-based Shortcut Labs, is a button that you can program to do just about any function your smart phone operating system (or other operating system). Thing like – hit the Flic button and dim your lights, take a picture, unlock your doors, or whatever else is controlled by your various devices. Learn more about the “wireless smart button” Flic here. Seriously, you can get lost for hours looking over the thousands of original posters, photos and other artwork available on Limited Runs. I particularly like looking at the movie posters – that run from the earliest days of cinema right up to today. 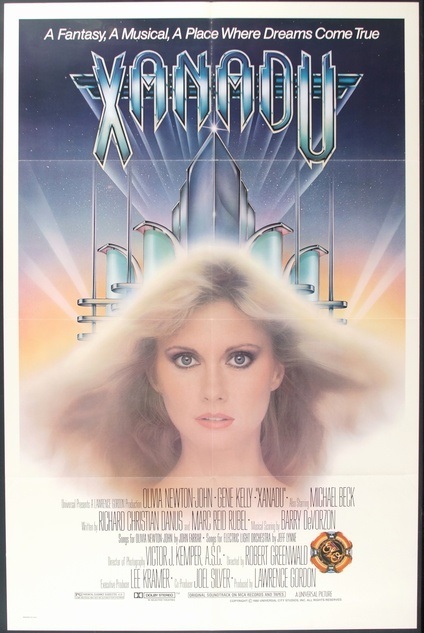 In the movie poster realm, how can I resist forking over the $110 for an original poster from 1980’s Xanadu? In music, you have to have a vintage Johnny Cash concert poster, right? And there are the classic travel posters, like this colorful yet somewhat dark, TWA poster promoting London from 1960. But then there are the posters that are more history than pop culture curiousities, like the “Careless Word” propaganda poster from World War II. See all the “Original & Vintage Posters, Print Art, and Photography” available from Limited Runs here. Lost Cowboy is powered by	WordPress 5.0.4 and delivered to you in 0.902 seconds using 58 queries.